I do deClaire: Confident Twosday: Headbands and a Giveaway! Confident Twosday: Headbands and a Giveaway! A few weeks ago, Matt and I booked a trip for my spring break. No, we aren't going anywhere warm and relaxing we are headed to Dublin, Ireland. Having visited Ireland several times before, I know what to expect with the flight and weather in early April. So I have been looking for a mid-weight coat, crossbody bag to keep my hands free, and a headband to keep my hair contained. There is really no point in straightening my hair since the rain and high humidity will reverse my efforts within minutes of stepping out of our hotel. When I was contacted by Stylish Mode to try out a couple of their headbands it was sweet serendipity! To make this even better, Rebecca is giving away a $50 credit to her shop! Comment below saying how you followed, your username, and your email. Giveaway will end Tuesday March 10th at 11:59pm central time. Winner will be chosen on Wednesday March 11 and contacted through email. Open worldwide. Rebecca is also sharing a coupon code for 10% off all orders until March 15th, too! Just use code "dodeclaire"! Today Susan from Charming Lucy is co-hosting. Susan is an incredibly sweet person and I really enjoy her casual style. She always finds the best etsy shops to feature, too! I love all the unique, one-of-a-kind items. I get the best ideas for gifts from her! Make sure you go check her blog out! First time I've seen you with your hair up. You look great! Your pieces from Thred-up are gorgeous and look brand-new. I love them. How did you get them for free? Also, as you know I am a huge fan/lover of headbands so this giveaway is meant for me. You should put up your hair more often. Ohh and I follow you via Bloglovin, Facebook and Pinterest. 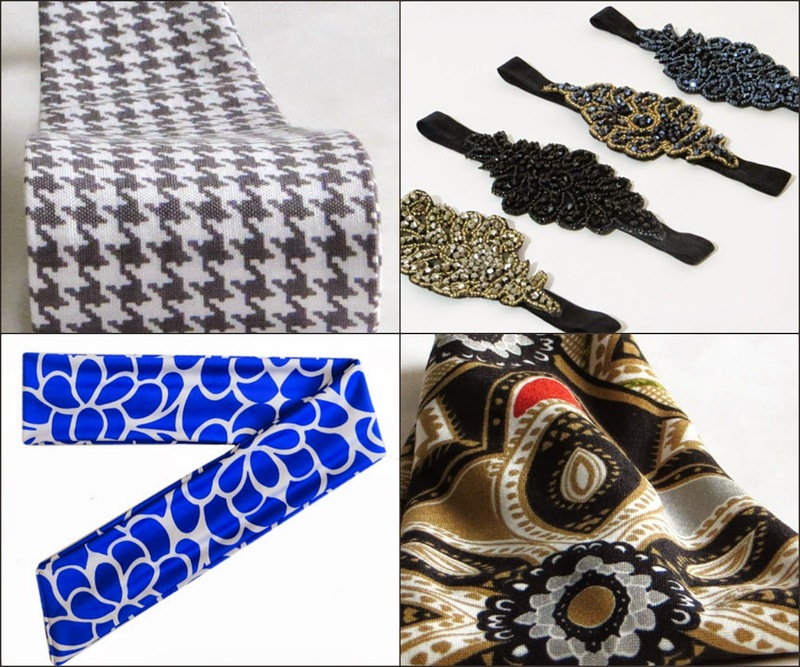 I am now following Stylish Mode Accessories via Facebook also. Thanks for such an awesome giveaway! That sounds like a great spring break trip! Spring break isn't really a thing for school's here, so I'm always jealous to hear of everyone's awesome plans haha. Your bag is gorgeous! You can definitely rock a headband dear! LOVE that bag of your too! Love this look! So totally pretty. You look so pretty with your hair pulled back with a headband! Thanks for hosting the giveaway! I followed Stylish Mode on Facebook and already following your accounts. Love this cape! What a great find. Sounds like your trip to Ireland will be wonderful. Thanks for the Link Up! I love that classic crossbody, lady! 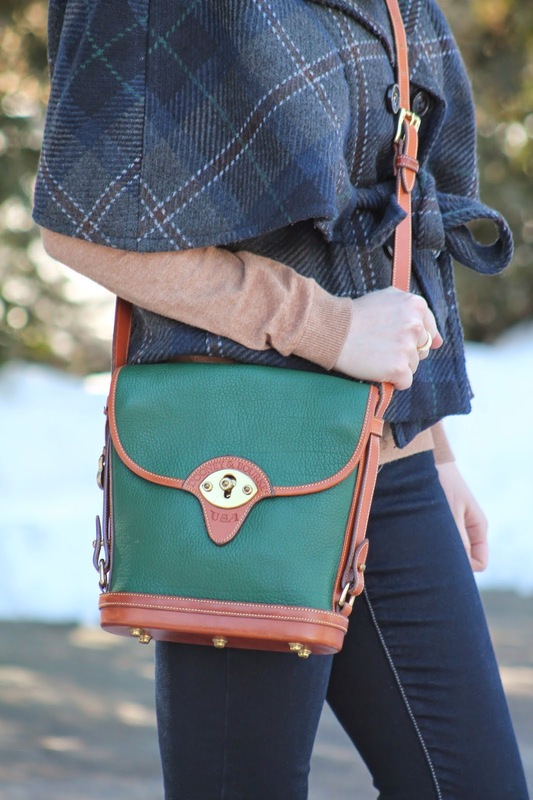 I love this plaid cape! What a beautiful, unique piece. How I love Dooney and Burke. I could spot one of their bags a mile away - there's something so classic about their bags. Love the headband! Perfect for easy travel. Have a great trip! You look so pretty with your hair up and I would have chosen the polka dots too. I've never been to Ireland and have always wanted to go. I hope you enjoy yourself. Love that headband! I don't think I've seen you with your hair up before - it's a great look for you. That plaid cape is to die for as well - I love it! Love your cape! What a great winter look, especially with those booties! Pop over and link up with Shoe and Tell Fashion on Style Nudge! Great look! 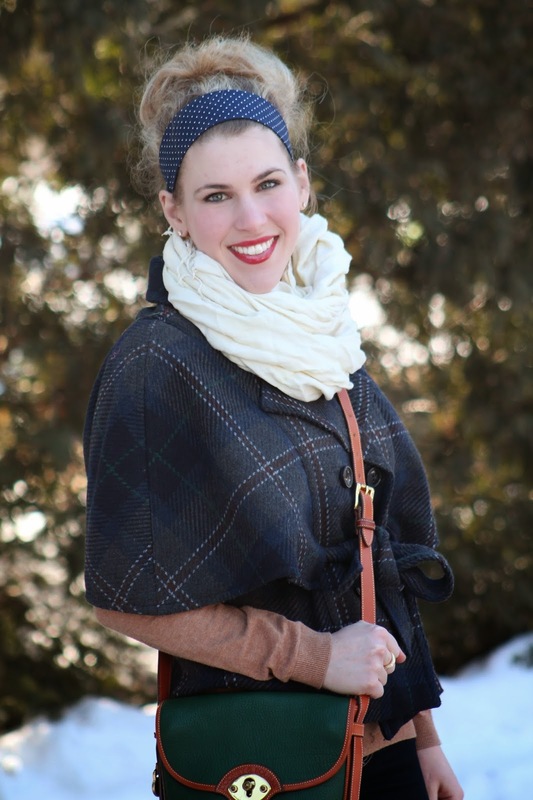 So glad you got to work with ThredUP and Max Jeans! And Ireland! Wow, so much fun stuff in one post. I don't have enough hair for a headband, but I love the way these look on you. You have gorgeous hair. Sounds like you have such a fun trip to look forward to! Your cross body bag looks like it will be the perfect size to fit everything you need without getting too overweight to carry all day. This headband is SO cute and I love the poncho! I am following Stylish Mode via IG. I am following you via bloglovin. I tweeted about the giveawsy. I love your cape - it's is so fun!! Great layering and I am envious of your upcoming trip - Ireland is such a beautiful place. When my son gets a little older, I would love to take him there since he's part Irish. Ireland! Never been, it's actually on my "narrowed down list" for the next big vacation I go on! I cannot wait to see pictures!! HEADBAND SCARVES, Stretchy, Tie On - Hot Pink, Orange, Yellow MOD Dots. Cute look Lauren :) I love the wrap coat and bag. I love that Susan is co-hosting as well, I love her. Will link up. How gorgeous are you with your hair off your face? So beautiful! I'm following on facebook. My facebook name is Lisa Llt. You look so cute in a headband! I love the plaid as well! Like both on insta @seanrconn Love the plaid, the scarf and the headband. Great look, love your cape. 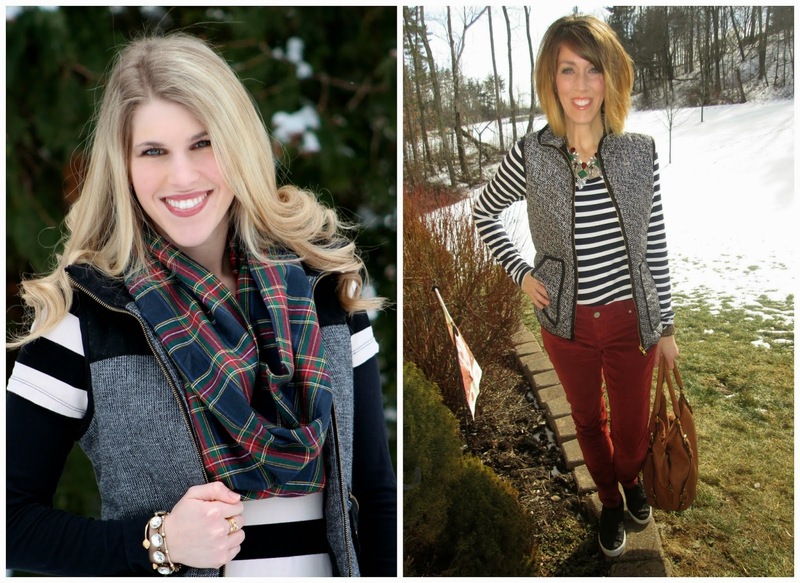 I follow you on Facebook, Instagram (stylefilesvalerie) and Bloglovin (Valerie @ The Style Files)! thestylefilesblog@gmail.com Fingers crossed! Wow, love this outfit on you! Have a ton of fun Laura!! Can't wait to hear about what you do on vacation! I could certainly get into a trip to Dublin now, or anytime!!! Two awesome & fashionable ladies hosting today, I love it! Your cape is absolutely gorgeous! Love your headband and how you styled your hair. I am an ambassador for ThredUp this year so I get credits each month. :) I just love their stuff! 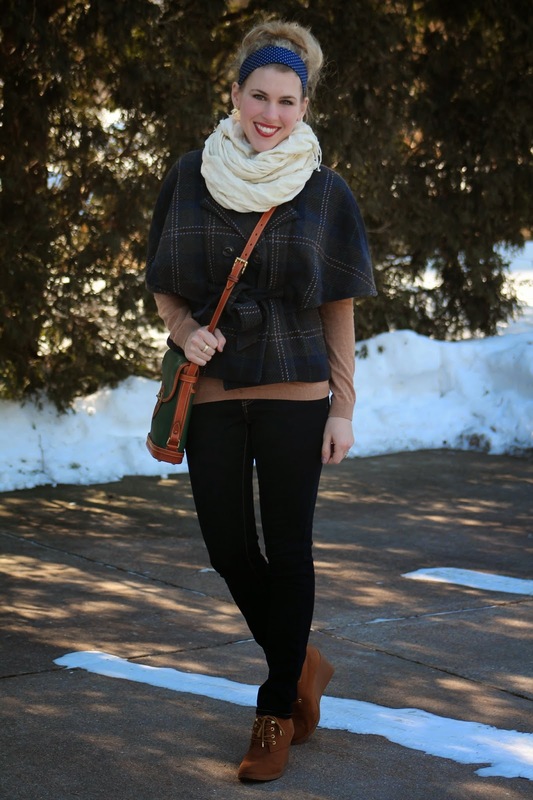 I just love all the layering going on with this outfit Laura! That cape is just darling! And the headband! I've been wearing my knit one too to keep my ears warm. It really makes a difference! For the giveaway, I am following you everywhere and the shop on Instagram. Username: @exploringmystyle and email exploringmystyle[at]gmail[dot]com. rocking that cape girl! love it! I Liked the Fabric Headband, Cotton, 2-Inch - Colorful Floral Print. I love the cape! followed both facebook pages. I follow Stylish on FB (Crystal Sell) and I follow you on instagram (zoeybear20) thank you! I follow you anmd Stylish Mode on FB under the name Jayne Hopson. I Liked the Wide Headband, Blue & Gray Japanese Floral. I follow Stylish Mode on Facebook. I follow I do Declaire on Facebook. I'm following you both on Facebook user Lisa Garner. I follow on fb...and then follow on bloglovin. I Liked the Sparkly Crystal Rhinestone Headbands, with elastic. Congratulations! Your entry won the giveaway! I have no way to contact you though. Can you please reply with your email address or email me directly? I will pass on your information to Stylish Mode then!